If somebody goes on stage as the first black president, you don’t want to call him President Clinton. If somebody goes on stage laughing, you don’t want to offer condolences for his father’s passing. With improv, we create a make-believe world, but it has to be congruent. To do that, we have to listen intently, not just to words, but also to other characters’ emotions. This forces us to live in the present. This is the core principle of improv; never deny your fellow actors, always accept what they bring to the scene. If a fellow actor comes on stage and addresses you as “brother”, don’t ever say, “You are mistaken sir, I am your grandpa.” This will get a cheap laugh from the audience, but the whole play will crash. In real life, we have an inclination to be critical of what others bring to the table, and we love to say, “No you idiot! I have a better idea.” You may in fact have a better idea, but nobody likes to be denied. By saying “no”, you just make working (or living) together that much harder. In improv, you never know what direction your fellow actors will take the play. 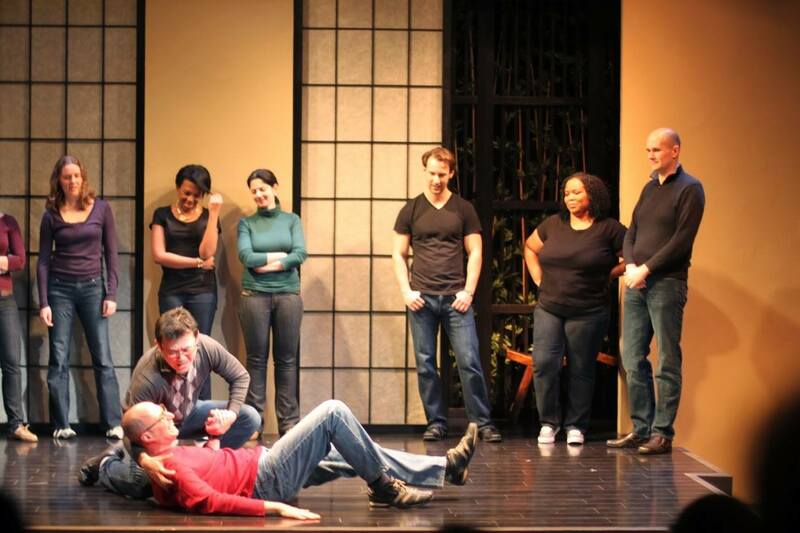 This element of surprise is in fact why improv is almost synonymous to comedy. Surprise is humor. Other than contributing to the scene in your own character, you can’t control the outcome. In real life, we tend to be very outcome oriented. This often times leads to endless worries and even fear. Improv teaches us to add value by our actions, but otherwise let outcomes fall where they may, which is usually a good place. It is so liberating to not worry about outcome. I know, I know, you may be asking yourself, “What the heck does this have to do with investment?” Well, the purpose of investment is to build wealth and the purpose of building wealth is to live well. If you don’t live well, no amount of investment knowledge will make up for your loss. 1 Response to "Life Lessons From Improv"
Investing is also improv. Financial advisers are not allowed to tell you future returns for an excellent reason- nobody knows what will happen. Nobody has full control of their own finances, or indeed, well, any facet of their lives. Hundreds of factors go into whether an individual company will succeed or fail, and whether your investment in that venture will also rise or fall. Multiply that by hundreds of companies working together or at odds, times hundreds of countries, times billions of people in the world. Investing is improv, and so is life.